Make a Budget. Make a budget and stick to it! Determine what you need and who you need to buy for, and buy only that. Shop Smart. Look for ways to save money and earn discounts on what you have to purchase. Look online for best prices and compare with brick and mortar stores. Get Creative. You don’t have to spend a lot on holiday décor to celebrate with the best of them! Get creative and come up with some alternative and thrifty ways to deck your halls with cheer. Resist Temptation. 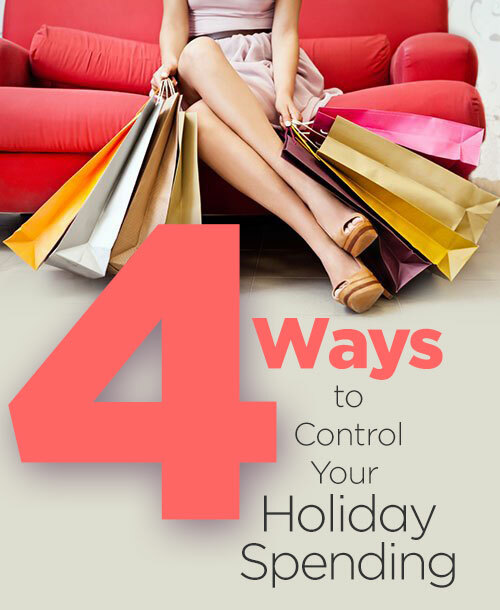 There will undoubtedly be multiple opportunities for you to be tempted to spend more throughout the holidays. Resist the temptation and remind yourself you’ll be in a better position financially come New Year! For middle-class Americans living predominately paycheck to paycheck, that’s not good – considering that the cost of housing generally takes the biggest chunk out of a household budget. Budget to spend less. 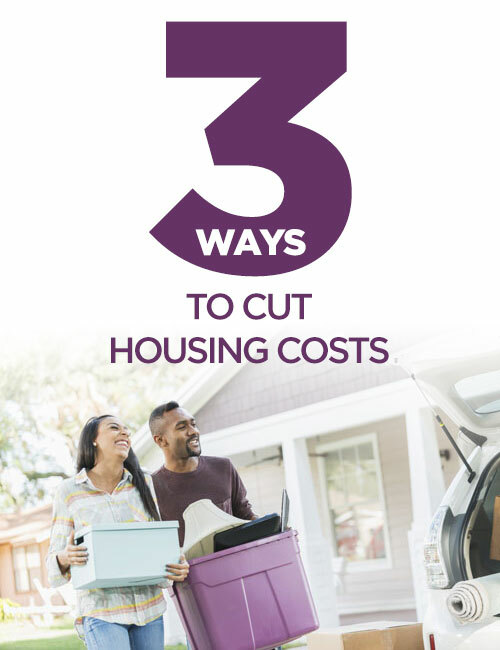 When shopping for housing, experts recommend budgeting to spend 30 percent (or less) of your salary. In expensive cities like San Francisco or NYC, that may be harder to do, but whatever your geographical area, if you’re in the market for a mortgage – or looking to rent – it pays to be frugal. Get a roommate. Your home life doesn’t necessarily have to look like an episode of Friends, but sharing the costs of living with another person can save you tons of money. It doesn’t have to be forever – just long enough to make it financially worthwhile. As long as you pick a responsible roommate who has a job, dealing with another personality for a year or two just may be worth it. Rent a room. Renting a room in your house to a student or young professional can help offset high housing costs. You may need to share some common space, but as long as the outcome is financially beneficial to you, and provided you’ve vetted the person you’re renting to, it should be a worthwhile way to drive down costs. Pay more than the minimum. Whatever your minimum monthly payment is, double it, or triple it if you can – by all means, if you’re being charged interest, pay more than the minimum. 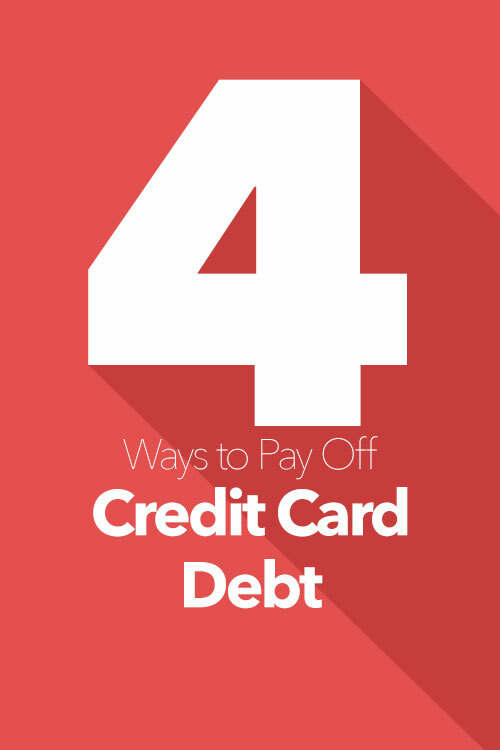 If you’re carrying debt on multiple credit cards, determine which card is costing you the most in interest and pay that off the quickest. Then, you can tackle the others in the same manner. Pay attention to your bills. Be vigilant about your credit. Look at your statements frequently. You ought to be paying your credit card bills off in full every month. Start where you are, but make a zero balance every month your ultimate goal. Build up your emergency fund. An emergency fund is a cash reserve to use for emergencies – ideally, three to six months’ worth of your salary. But if you’ve been putting life’s emergencies on credit cards, chances are your dedicated emergency fund isn’t substantial enough. Consistently put money toward your emergency fund while you’re paying off credit card debt. Bring in more income. Harness your entrepreneurial spirit and find opportunities where you can bring in more income. Start a business. Rent a room in your house. Sell some belongings. Throw all of these extra earnings toward your debt and emergency fund. Set a deadline. Establishing a target move-out date can help keep your kids focused on the future. Expect financial help. If they have a job, grown kids should pay their own phone bills and contribute to household costs such as food and cable TV. Work together to determine rent. Decide on a reasonable rate, then save their contributions for a security deposit on a new apartment or furniture. Ask them to pitch in. 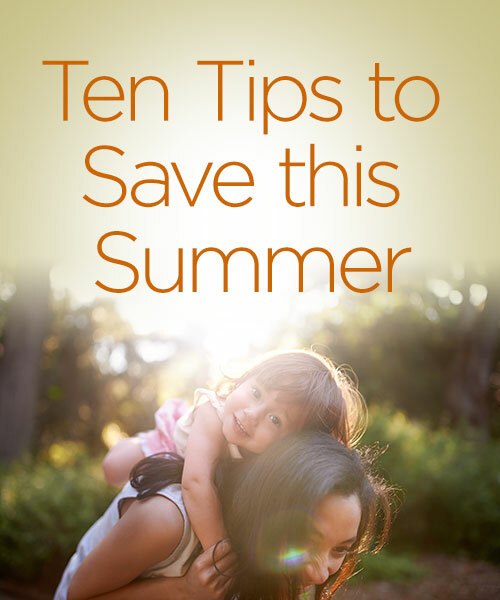 In lieu of rent (or in addition to it) your kids should help out around the house. If you’re not happy with the current situation, speak up! Offer financial advice. 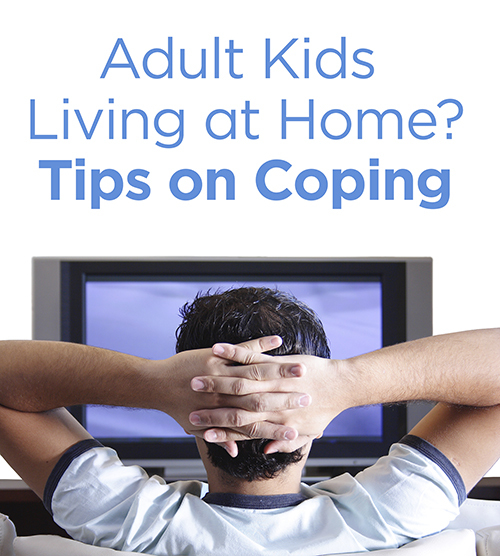 Remember your kids are dealing with new issues like student loans, credit cards and health insurance. They may not ask for your advice, but they probably need it. 1. Park the car and walk. Operating a car is a major expense and gas prices tend to rise in the summer. Take advantage of a sunny day by parking your car in a central location and walking as much as possible to take care of errands or to enjoy days out with your family and friends. 2. Teach your kids about money. Use summer vacations as an opportunity to improve your children’s financial literacy and teach them about responsibility at the same time. Help show them ways they can earn money, such as setting up a lemonade stand or walking neighbors’ dogs. Stock up on board games like Monopoly and Life that the whole family can participate in. 3. Grow a garden. Plan to grow summer fruits and vegetables or fresh herbs in your own garden. Gardens can be expensive, so be wise about what you plant. You have the potential to save money on groceries when you choose to grow foods you already like and purchase at the store. 4. Have a multi-family yard sale. Organize a multi-family yard sale to get rid of “junk” you have piled in your basement or attic – more families involved equals more crowds! Look on the Internet for tips to organize your for-sale items to make them more attractive to buyers. 5. Find free or discounted fun. Check out websites or local papers for listings of free outdoor movie nights and live music performances in neighboring cities and towns. Hit up festivals and farmers markets instead of paying admission to expensive theme parks. 6. Cancel your cable TV. With so many alternative ways to stream movies and television series online, it pays to cancel your cable TV. Go ahead and do it this summer. 7. Fire up the grill. Outdoor grilling, a favorite summer pastime, can save you money on indoor electricity costs. Hamburgers and hotdogs are tasty and affordable but don’t forget chicken, fish, pork, shish kebabs, and veggies. You can grill out every night of the week or have one big backyard barbecue where you grill several different items to freeze and have throughout the week. 9. Consider clipping coupons. If you haven’t used coupons before, consider trying them out this summer. You can start by collecting coupons (online and in your Sunday paper) and organizing them in a folder or binder. Searching “couponing tips” on the Internet can help get you started. 10. Earn extra income. Earning extra income by getting a part-time job or freelancing your creative skills is a great way to spend your free time this summer. Want to earn at your own pace while helping families become financially independent? Primerica offers a part-time opportunity that might be right for you!